Bigler is proud of its craftsmanship in food processing, a family tradition that is constantly reinvented through innovative products and modern processes. Last year, the family-owned company in Büren an der Aare, which employs around 600 people, initiated a relaunch of its del Lago brand. Under the new brand name Bigler, the entire product range is now presented in a fresh and uniform packaging design. We spoke with Gérard Bigler (Head of the processed meat division) and Markus Bigler (Chief Financial Officer) about this relaunch, the differences between the meat markets in Switzerland and the rest of Europe, as well as about current packaging trends. What sometimes holds back the development of skin packaging for fresh meat is that the colour of the product inside the vacuum pack will be less red. Gérard Bigler: "The fact that meat products in skin packaging are characterized by a darker red has been well received by Swiss consumers. In my view, however, the colour is not decisive. It is important that the product as a whole convinces with an appealing appearance.” Therein the Swiss differ from other European countries, where meat is mainly packaged under modified atmosphere, because consumers there are mostly conservative and prefer meat with a bright red colour. On the other hand, the demand for skin applications is growing noticeably in Germany as well these days. Especially high-quality products, such as premium or organic meat, are increasingly offered in skin packaging, because the quality of the meat can be improved: under vacuum it will mature better, remain beautifully tender and stay fresh longer. Switzerland has a slightly different culture when it comes to the presentation of food products at retail. Especially within the meat segment, vertical presentation has been the standard for a long time already. 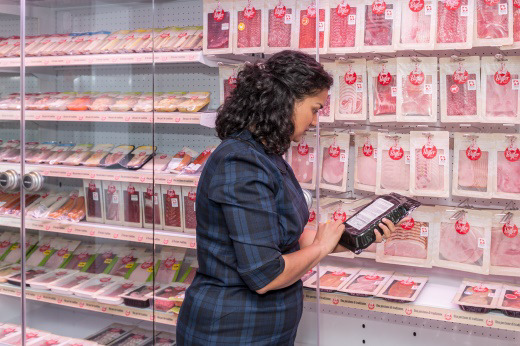 By presenting meat products in a standing or hanging position, they are more attractive to Swiss consumers. This explains why skin packaging has seen a much stronger growth in Switzerland than in various other European countries, such as for example Germany. The advantage of skin packaging is that the product remains securely fixated and does not move, resulting in an excellent appearance. For retailers, skin packaging allows them to fit more products on the shelf. Main applications in Switzerland are fresh and marinated meat, but vertical presentation is also common for seafood and even ready meals. Older PostThank you for a memorable Interpack 2017!